Thanks to our friends at Radio Rethink we now have an online streaming “app”. 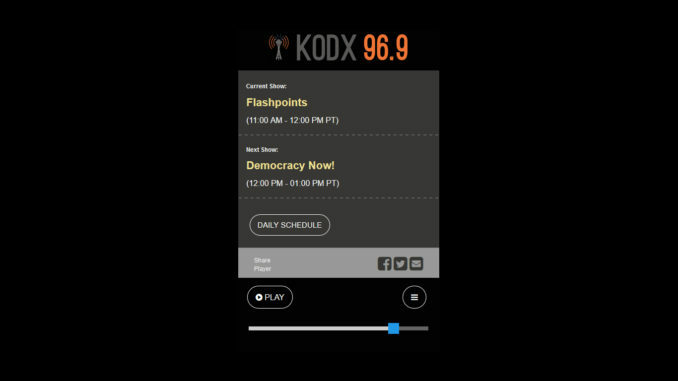 You can now stream online by clicking the “Listen to KODX Online” button on the upper right corner of the site (near the center top for cell phone users) and clicking “play” on the player. The old streaming pop-up that automatically started when accessing the site has been put back in the barn. If you have any issues w/ the app, streaming or website, shoot us an email at contact@kodxseattle.org.